Denny Hamlin, driver of the No. 11 FedEx Toyota for Joe Gibbs Racing, had successful surgery on his right knee this afternoon. Hamlin is expected to make a full recovery in time for the start of the 2016 NASCAR season in February. The scheduled offseason surgery was to repair the Anterior Cruciate Ligament in his right knee which he tore while playing basketball in early September. The surgery was performed by Dr. Patrick Connor of OrthoCarolina. Stewart-Haas Racing has announced new appointments within its competition department as the team prepares for the 2016 NASCAR Sprint Cup Series season. Michael Bugarewicz has been promoted from race engineer on the No. 4 team to crew chief for the No. 14 team of Tony Stewart. 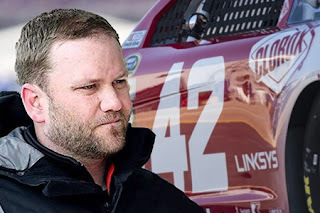 The 33-year-old from Lehighton, Pennsylvania, replaces Chad Johnston, who has left SHR to pursue a new opportunity. Bugarewicz joined SHR in 2014 where in his role as race engineer, he helped Kevin Harvick secure his first Sprint Cup championship. 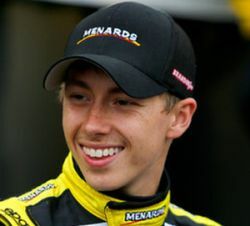 Bugarewicz began his NASCAR career in 2005 at Roush-Fenway Racing in the engineering department, assisting a variety of teams as a race engineer in the Camping World Truck Series, Xfinity Series and Sprint Cup Series. Before coming to SHR, he served as race engineer on Roush-Fenway Racing’s No. 17 team, where he worked with Matt Kenseth (2011-2012) and Ricky Stenhouse Jr. (2013). Bugarewicz graduated from Pennsylvania State University with a Bachelor of Science degree in mechanical engineering (2004) and a Master of Science degree in mechanical engineering (2005). Billy Scott has been named crew chief for the No. 10 team of Danica Patrick. The 38-year-old from Land O’ Lakes, Florida, comes to SHR from Michael Waltrip Racing, where he served as crew chief for the No. 55 team and drivers David Ragan, Brian Vickers, Brett Moffitt and Michael Waltrip. He also served as crew chief for MWR’s No. 15 team and driver Clint Bowyer from June of 2015 through the end of the season. Prior to that role, Scott was a race engineer working under crew chief Rodney Childers. Scott came to MWR in 2008 after working in a variety of racing disciplines, including NASCAR, sports cars and sprint cars. He attended the University of North Carolina at Charlotte, earning a Bachelor of Science degree in mechanical engineering in 2005. Daniel Knost has been promoted to a senior leadership position within SHR. As manager of vehicle dynamics, Knost will oversee a number of the organization’s technical efforts, with a specific focus on track simulation and race car performance. The 36-year-old from Charlotte, North Carolina, has been a crew chief at SHR for two years, spending 2014 with the No. 41 team of Kurt Busch and 2015 with the No. 10 team of Patrick. Knost joined SHR in 2008, after earning Master of Science and doctorate degrees in mechanical engineering from Virginia Polytechnic Institute and State University. Knost graduated from North Carolina State University in Raleigh in 2001 with a Bachelor of Science degree in mechanical engineering. Childers remains as crew chief for the No. 4 team of Harvick and Tony Gibson remains as crew chief for the No. 41 team of Busch. “We have great people at Stewart-Haas Racing and these changes prove that,” said Stewart, co-owner of SHR with Gene Haas, founder of Haas Automation. “We were able to promote from within while also adding new talent. Chad Johnston has been named crew chief for Kyle Larson and the No. 42 Target team at Chip Ganassi Racing with Felix Sabates. Johnston will assume the role effective immediately to begin preparation for the 2016 NASCAR Sprint Cup Series season. Johnston joins the team from Stewart-Haas Racing, where he has been the crew chief for Tony Stewart and the No. 14 Chevrolet since 2014. He also served as crew chief for Martin Truex, Jr. and the No. 56 at Michael Waltrip Racing from 2011 to 2013. Johnston has one career NSCS race win as a crew chief (2013 Sonoma) and helped guide Truex into The Chase for the NASCAR Sprint Cup in 2012. 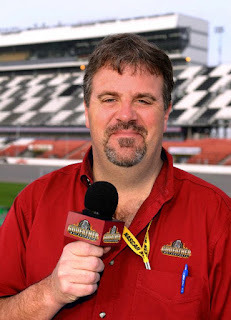 Johnston has also worked in NASCAR as a race engineer at Morgan-Dollar Motorsports, Evernham Motorsports, and JTG Daugherty Racing before serving as a crew chief. The Cayuga, Ind. 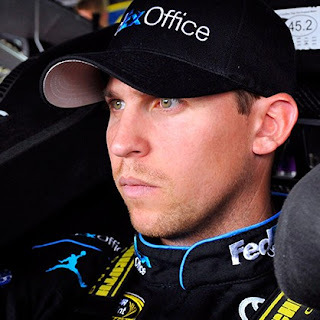 native graduated from Indiana State University with a major in mechanical engineering, and briefly worked in the aerospace industry before his passion for motorsports brought him to NASCAR and the Camping World Truck Series in 2004. Larson will begin his third full-time season in the NSCS in 2016. The 2014 NSCS Rookie of the Year is coming off of a season that featured two top-five and 10 top-10 finishes. In 75 career NSCS starts he has accumulated one pole award, 10 top-five and 27 top-10 finishes. Kyle Busch celebrated his first career NASCAR Sprint Cup Series championship Sunday evening at Homestead Miami Speedway, completing one of the greatest comebacks in the history of professional sports. And even before the final scraps of confetti had fluttered to earth, a small-but-determined group of naysayers was already at work, attempting to minimize his achievement. 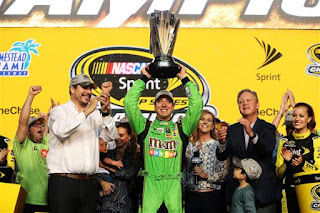 As the Joe Gibbs Racing driver smiled for the cameras in Victory Lane, a joyless cadre of Busch bashers began attaching undeserved asterisks to his unlikely championship season, based on a horrifying injury that forced him to miss the first 11 races of the 2015 campaign. Busch’s title drive appeared to be over before it began, after a high-speed crash into an unprotected concrete wall during the XFINITY Series opener at Daytona International Speedway in February left him with a compound fracture of his right leg and a broken left foot. As the Las Vegas native began the arduous task of rehabbing from his injuries, he was granted a waiver by NASCAR Chairman and CEO Brian France, who accepted personal responsibility for not mandating full SAFER barrier protection at the sport’s most storied venue. France did not change the rules, he simply invoked a clause that has been a part of the Chase format from the beginning; foregoing the “must attempt every race” requirement due to unusual, extenuating circumstances. That waiver did not lower the competitive bar for Busch. In fact, it did just the opposite, challenging him to accumulate more points in 15 regular-season races than his competition could in 26. He did so with ease, cracking the Top-30 with many weeks still remaining in the regular season and winning four times to punch his ticket to the playoffs. Busch is not the first driver to be granted such a waiver. Tony Stewart earned similar consideration after missing three races following the death of Sprint Car driver Kevin Ward, Jr. in 2014. Kurt Busch was granted a similar waiver earlier this year, after sitting out an early season suspension related to domestic violence charges leveled by former girlfriend Patricia Driscoll. Stewart failed to qualify for the Chase last season. Kurt Busch made the Chase this year, but was unable to advance to the Championship Round at Homestead Miami Speedway. Only Kyle managed to clear all the obstacles and advance to the title round. And once there, he and his M&Ms Toyota team were simply unstoppable. He paced his fellow title contenders for most of Sunday’s race, before overwhelming leader Brad Keselowski on a final restart and driving away to a decisive, undisputable victory that earned him an opportunity to hoist the Sprint Cup Series championship trophy at long last. Sunday, Busch put an exclamation point on his likely Hall Of Fame career; winning his 34th Sprint Cup Series race, to go with a record 76 XFINITY Series scores and 44 checkered flags in Camping World Truck Series competition. At age 30, NASCAR’s self-described “King of the Minors” delivered a fourth Sprint Cup title to Joe Gibbs Racing and the first to his longtime manufacturer, Toyota. 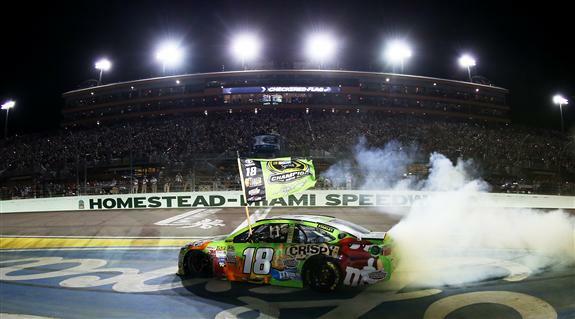 “It’s pretty unbelievable,” said Busch in a raucous Victory Lane that included a downpour of M&Ms. “It’s a dream of a lifetime, a dream come true. I just can’t believe it, with everything that happened this year; all the turmoil that I went through, all that my wife and the people around me went through." Busch called the weeks following his Daytona crash “the hardest thing I have ever gone through” adding, “You don’t know how many times I wanted to stop. I guess you’re a lot tougher than you really realize, physically and mentally. I had to put everything I had into rehab, and into being able to walk. “I was trying to get prepared for my son’s birth,” he said, “and make sure I could… stand and support Samantha and not worry about being in a wheelchair, stuck on the side of the room." In 2015 – at long last – Kyle Busch found a way to slay his personal demons. This time around, there were no petty distractions, no disputes with fellow drivers or his own race team. His on-track talent shined through, as it always has. But this time, that talent was bolstered by a newfound maturity, focus and professionalism. Busch’s path to the 2015 championship was anything but smooth. A 37th-place finish in the second race of the Chase at New Hampshire Motor Speedway but him behind the eight-ball. In past seasons, such a result would have sent Busch on a downward emotional spiral and crippled his championship dream. This time, though, Busch did not come unraveled. This time, he dug deep, earning a pressure-filled runner-up finish the following week at Dover that cemented his status as a championship contender. Even vanquished title contender Jeff Gordon spoke of Busch’s transformation, saying, “I don’t know if ‘grow up’ is the right term. But with what he went through this year, I see a changed Kyle. No asterisks, no qualifiers, no ifs, ands or buts. Just a changed man, basking in the glow of a destiny fulfilled. One of NASCAR’s most iconic teams will return to full-time competition on the Sprint Cup Series next season. Wood Brothers Racing announced today that it will run a full, 36-race schedule in 2016, with Ryan Blaney as the team’s driver and Motorcraft/Quick Lane and Ford Performance returning as anchor sponsors. “We are beyond excited to make this announcement about going back to full time competition,” said Eddie Wood, team co-owner, at a press conference at Homestead-Miami Speedway during Ford Championship Weekend. “It has been something we’ve worked toward since 2009 when we started running limited schedules. “I have to thank Ford’s Dave Pericak and Raj Nair, Edsel Ford, our technical alliance partners Team Penske and Roush Yates Engines, as well as everyone at Motorcraft, for working with us to make this day possible,” Wood continued. “It’ll be fun to see just how good Ryan Blaney, Jeremy Bullins and our team can be over a full season. Due to their limited schedule and the current point system, inclement weather prevented Wood Brothers Racing from qualifying for three races in which they were slated to run this season. Thus far in 2015, the Wood Brothers’ iconic No. 21’s best finishes were fourth in the spring Talladega race, 12th at the Brickyard, 14th in the fall Charlotte race and seventh in the most-recent Kansas race. Even in the four races when the team had engine problems, the Motorcraft/Quick Lane Ford Fusion was running toward the front of the field when the trouble arose. Motorcraft’s partnership with Wood Brothers Racing began in 2001 and quickly bore fruit by winning the Food City 500 at Bristol Motor Speedway with Elliott Sadler behind the wheel. The Motorcraft-Wood Brothers pairing had its greatest triumph in 2011 when rookie driver Trevor Bayne captured the Daytona 500. In addition to Motorcraft and Quick Lane Tire and Auto Centers, the team will look to add additional sponsors to the roster during the 2016 NASCAR Sprint Cup season. 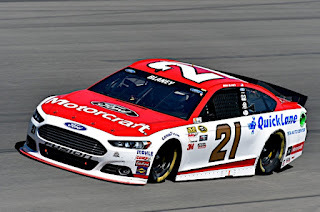 Wood Brothers Racing was formed in 1950 in Stuart, Va., by Hall of Famer Glen Wood. Wood Brothers Racing is the oldest active team and one of the winningest teams in NASCAR history. Since its founding, the team won 98 races (including at least one race in every decade for the last seven decades) and 117 poles in NASCAR’s top-tier series. Fielding only Ford products for its entire history, the Wood Brothers own the longest association of any motorsports team with a single manufacturer. Glen's brother, Leonard, who still can be found in the team’s pit, is known for inventing the modern pit stop. 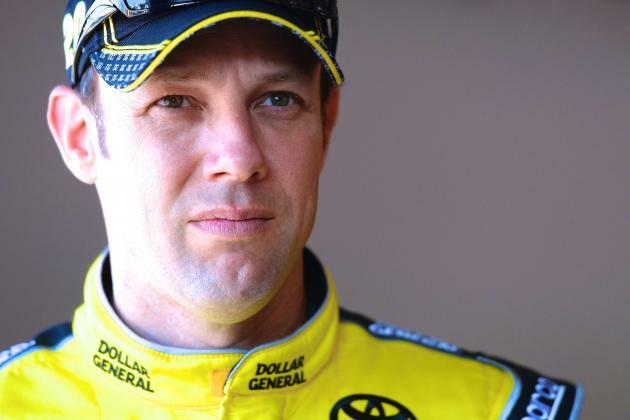 USA Today Sports is reporting that Matt Kenseth will meet with NASCAR Chairman/CEO Brian France later today, before returning from a two-race suspension imposed for wrecking leader Joey Logano at Martinsville Speedway last month. Kenseth’s “quintessential” reference stems from recent comments by France on SiriusXM NASCAR Radio’s SiriusXM Speedway, when he called Logano’s decision to spin Kenseth in the late laps at Kansas Speedway, “quintessential NASCAR.” Kenseth said those comments led him to believe that NASCAR had condoned Logano’s tactics, and that he was free to retaliate in kind. France and Kenseth will reportedly discuss the sanctioning body’s stance concerning on-track contact when they meet today. Sources say France is also anxious to ensure that a recurrence of hostilities between Kenseth and Logano not impact Sunday’s championship race at Homestead Miami Speedway. Three weeks ago, Joey Logano was the odds-on favorite to win the 2015 NASCAR Sprint Cup Series championship. The Team Penske driver had won three consecutive races at Charlotte, Kansas and Talladega, and was on his way to a dominating fourth score at Martinsville; a win that would punch his ticket for a winner-take-all championship shot at Homestead Miami Speedway. Today, Logano finds himself on the outside, looking in; after a demoralizing turn of events that can only leave him to wonder what might have been. After winning six races this season -- three of them during the post-season Chase – Logano’s storybook season ran off the rails in Kansas, when repeated blocking attempts by leader Matt Kenseth prompted Logano to spin his rival with less than five laps remaining. He drove to Victory Lane that afternoon, but in hindsight, the Kansas triumph may have been the most costly of his career. An angry Kenseth bided his time, eventually exacting his pound of flesh by wrecking Logano out of the lead at Martinsville two weeks later. That controversial crash left the Shell-Pennzoil Ford driver behind the eight-ball in his bid to advance to Homestead, and a dismal finish at Texas two weeks ago – triggered by a blown tire in the opening 10 laps -- brought Logano to Phoenix International Raceway needing nothing less than a victory to keep his title hopes alive. He was competitive throughout Sunday’s rain-delayed event, but in the end, even Mother Nature seemed to be against him. Poised to restart third after Ricky Stenhouse, Jr. and Joey Gase crashed in Turn Three, the Connecticut native watched helplessly as a light rain increased to monsoon force, forcing a premature end to the Quicken Loans Race for Heroes 500 and leaving him two positions short of Victory Lane and 52 points shy of a Homestead title bid. 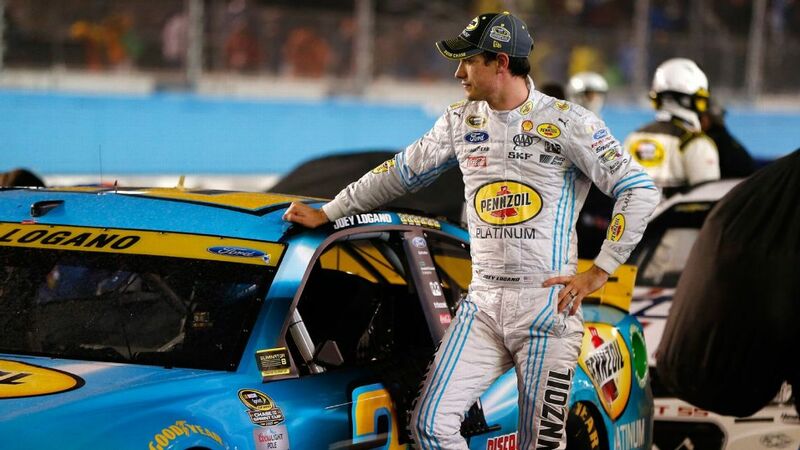 “It’s hard to play the race with rain in the area,” said Logano afterward, with a stiff upper lip. “You don’t know what’s going to happen, but you hope there’s another shot. You hope there’s a restart and two of them slip up and you’re able to put it three-wide on the bottom, or do something like that. We just didn’t ever have the opportunity there at the end. “It's not NASCAR's fault that it's pouring. It's just unfortunate. You can `coulda, shoulda, woulda’ the heck out of that last pit stop… if we had done something different. But you don't know it's going to rain hard enough to call the race. Many will question the decision to muscle his way past Kenseth at Kansas in Mid-October, pointing to that day as the beginning of his championship demise. Having won the previous Sunday at Charlotte Motor Speedway, Logano had already guaranteed himself a spot in the Eliminator Round. Wrecking Kenseth gained him nothing, and arguably cost him a prime shot at the championship. Logano also served notice that he and his team have one more goal to accomplish before the 2015 campaign comes to an end. “We’ve still got one more race to win,” he said. “There’s no doubt in my mind we’re still the strongest team on the race track. This team is tight as ever, as fast as ever, and we’ve still got one more race to go out and win. I’m confident this team will keep doing that. “Considering the last couple of weeks, this was a good race for us to get back out there and start racing for the win again. It’s a good way to redeem ourselves, it just didn’t quite work out. “I consider this a great season,” said Logano, looking back on a campaign that began with a season-opening win in the Daytona 500, and included a historic sweep of the three-race Chase Contender Round. “We’ve got six wins and a whole bunch of Top-5s. It’s a great season if you look at it from that angle. We just had a couple bad races at the wrong time. “It is what it is,” he said. “Overall, I couldn’t be more proud of what we’ve done this year. It just didn’t work out. It's the way this game is played, right? That's the way this Chase is. Dale Earnhardt Jr made it two wins in a row for non-Chase drivers Sunday night, captured the rain-plagued Quicken Loans Race for Heroes 500 at Phoenix International Raceway. This win was the 26th of Earnhardt’s Sprint Cup Series career and his third of the season. The start of the race was delayed six and a half hours by heavy rain, and ended 93 laps short of its scheduled distance when another downpour soaked the track on Lap 219. Earnhardt had come to pit road just a lap before Joey Gase and Ricky Stenhouse Jr. crashed in Turn Three, bringing out the race’s second caution flag on Lap 196. While on pit road, Earnhardt crossed the start/finish scoring line before leader Kevin Harvick. When the other lead-lap cars pitted under yellow, Earnhardt inherited the top spot over Harvick and Joey Logano. Before the wreck could be cleared, rain began to fall once again, eventually becoming a deluge that forced an early end to the event. “We struggled all year in qualifying, and that was really the difference maker for us today,” said Earnhardt afterward. “It gave us this awesome pit stall that was just right next to the start‑finish line, and) when the caution came out, (Harvick and Logano) slowed down like everyone else. If the caution doesn't come out, they would have beat us all around the racetrack. But the caution come out, so they slowed down and when we come out of our pit stall and cross the finish line and it scored us ahead of them. It's a quirky set of circumstances, but the qualifying effort really is what put us there. Carl Edwards, Brad Keselowski, Kurt Busch and Joey Logano were eliminated from the Chase Sunday, leaving defending series champion Kevin Harvick, Kyle Busch and Martin Truex Jr. to race Jeff Gordon for the title in this weekend’s Ford 400 at Homestead-Miami Speedway. 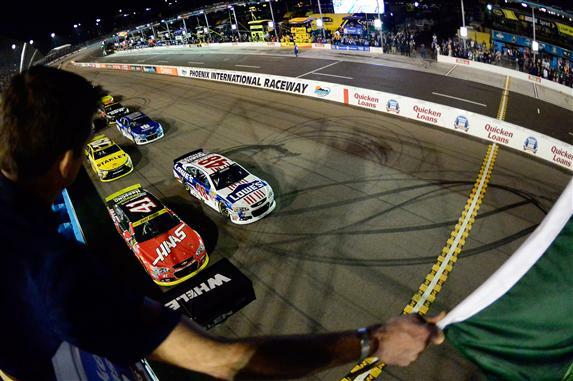 Harvick came to PIR riding a streak of four straight wins – and five of the last six -- at the desert oval. He needed only a solid run to secure a spot in this weekend’s championship race, and he did exactly that; leading a race-high 143 laps before a green-flag pit stop dropped him to third in the running order when the rain began to fall. 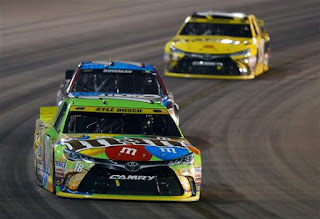 Kyle Busch continued his fairytale run toward a possible first Sprint Cup Series title with a fourth-place finish Sunday. After missing the first 11 races of the season with a broken right leg and left foot suffered in the XFINITY Series opener at Daytona International Speedway, Busch battled back to win four times and qualify for the Chase. After entering Sunday’s race with a seven-point lead over Edwards, Truex lost a lap on the same pit sequence that gave Earnhardt the lead. He took a wave-around prior to the restart, then finished 14th -- two spots behind Edwards -- to secure his spot at Homestead. Kurt Busch’s bid for a Championship Round berth was literally doomed from the start Sunday. The Haas Automation Chevrolet driver jumped the initial green flag from the outside pole and was forced to serve a drive-through penalty. His was one of the fastest cars throughout the event, but after beginning the race in a 26-point championship hole, a seventh-place finish Sunday was not enough for him to advance. When it comes to blocking, Joey Logano is a graduate of the Tony Stewart School. Block him once and live to tell about it. Block him twice and all bets are off. Had Logano simply backed off and allowed Matt Kenseth to win at Kansas Speedway, he would have earned one fewer point in the Contender Round of the Chase. He likely would have won two weeks later at Martinsville, as well, advancing directly to Homestead Miami Speedway to race for the championship. But racers don’t “let” other races win, especially on days when they clearly have the best car. No NASCAR driver will even again announce his intention to wreck a fellow competitor. Kenseth learned that lesson the hard way. Respect takes forever to earn, and four seconds to lose. My driver is never wrong. Yours is seldom right. 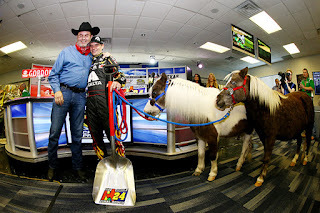 One year from now, I hope Texas Motor Speedway President Eddie Gossage shows some consistency and presents retiring driver Tony Stewart with a lovely pair of ponies, just like he did for Jeff Gordon last week. This Chase format makes just about anything justifiable. If you’re going to wreck a guy, take a page from the Richard Milhous Nixon Book of Plausible Deniability and do it subtly. Rarely has there been more talent, poised and waiting for their shot at the NASCAR Sprint Cup Series. 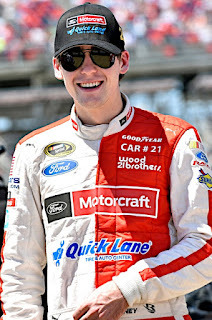 Erik Jones, Ty Dillon, Ryan Blaney, Daniel Suarez, Chase Elliott, Chris Buescher, Bubba Wallace, Tyler Reddick, Brandon Jones, Spencer Gallagher, Christopher Bell, Ben Kennedy, Ryan Reed, Ross Chastain, Cameron Hayley and Daniel Hemric – not to mention a fistful of other talented youngsters – are quite literally kicking down the door in NASCAR’s two developmental national series. Not all of them will make it to the bigtime. Not every qualified young racer ever has. But the future of the sport has seldom been in better, more talented hands. 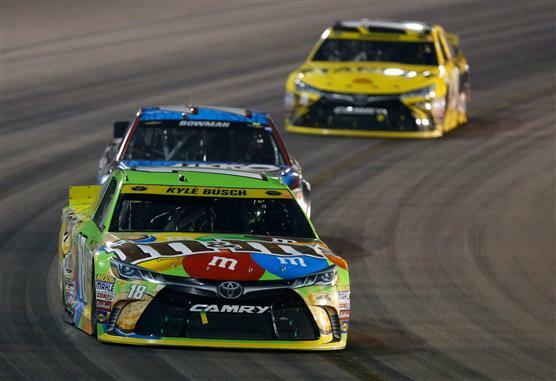 Kyle Busch has proven – at long last – that he possesses the mental toughness and focus to deal with the pressure of a championship Chase. PREDICTION: Logano will not win the 2015 NASCAR Sprint Cup Series championship. He will, however, rectify that situation, exactly 12 months from now. Anybody missing Patricia Driscoll lately? Me either. I swear, Kevin Harvick paints himself into corners, just for the hell of it. Martin Truex, Jr.’s longstanding status as the most underrated driver in NASCAR is rapidly coming to an end. Nobody does the “angry stomp” better than Ms. Danica Patrick. Whether Jeff Gordon hoists the Sprint Cup at Homestead or not, he will most certainly retire a champion. GEICO has extended its relationship with Germain Racing as the primary sponsor of the No. 13 NASCAR Sprint Cup Series entry through at least the end of the 2018 season. 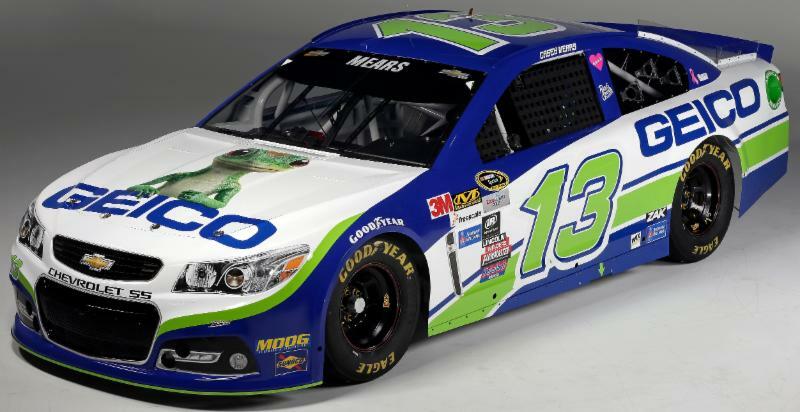 GEICO is wrapping up their 15th season as a team sponsor and their eighth with Germain Racing. Along with the sponsorship extension comes a new primary paint scheme, as well as a new GEICO Military livery that will appear at select races during the season. Additionally, Germain Racing and driver Casey Mears have agreed to a three-year extension that will continue Mears' status as driver of the No. 13 GEICO Chevrolet SS through the 2018 racing season. Since the inception of Germain Racing's NASCAR Sprint Cup Series program in 2009, GEICO has been alongside the organization every step of the way, from a part-time program to a full-time team that now consistently performs in the top-20, while also finding itself in contention for wins at Daytona and Talladega. Today’s sponsorship extension further solidifies and expands a relationship that has seen GEICO's famous gecko adorn the hoos of Germain Racing's NASCAR Xfinity Series entry in 2008 and Camping World Truck Series entry in 2011. Aside from its team support, GEICO has established itself as an entitlement sponsor of Talladega Superspeedway’s GEICO 500, while also blanketing many racetracks across the country with the GEICO logo, including campgrounds where fans make their home during each race weekend. The GEICO banner can also be spotted flying overhead at nearly every NASCAR event. "NASCAR is a natural fit for us and it has provided access to a brand-loyal fan base that now has a clear line of sight into GEICO's multiple product lines and the many ways that we can service their insurance needs," said GEICO vice president of marketing, Ted Ward. "We've enjoyed our partnership with Germain Racing and Casey Mears and the character of their organization is in line with our corporate values. We are excited about the extension and look forward to building upon our successful relationship in the sport of NASCAR." Germain Racing is in its 12th year of NASCAR competition and boasts two NASCAR Camping World Truck Series championships. The opportunity to further expand its NASCAR Sprint Cup Series program with GEICO has team owner Bob Germain excited about the future. "I'm thrilled to be able to extend our partnership with GEICO thru 2018. We are proud to be associated with a company that supports our sport in so many ways and we feel fortunate to be able to represent them on the track," said team owner, Bob Germain. "We're thankful for GEICO's unwavering support and this extension allows us to keep building upon the foundation we've laid and continue to add people and resources in an effort to accelerate the growth and progress of our program. It also allows us to make long-term commitments to our great partners Chevrolet, Richard Childress Racing and ECR, along with our driver, Casey Mears; all of which have played an integral role in the development of our Sprint Cup Series program." Mears, a race winner in his 13th year in the Sprint Cup Series, was equally enthusiastic about the news. "This is great news for our Germain Racing team because everyone has worked so hard to build this GEICO program and people in the garage are taking notice of what we're accomplishing," Mears said. "GEICO is such a great partner and they not only support our team, but the sport in general, which makes me even prouder to have the opportunity to drive the GEICO Chevy. We appreciate their belief in us and have enjoyed our relationship with everyone at the corporate office, as well as the GEICO associates that we get to interface with each week at the racetrack." 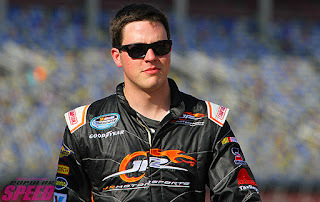 Alex Bowman, the 22-year-old racer from Tucson, Ariz., will drive nine NASCAR Xfinity Series races for JR Motorsports in the No. 88 Chevrolet next season, the team announced today. Bowman becomes the fourth driver named to the lineup of JRM’s No. 88 “All-Star” car for 2016, joining Dale Earnhardt Jr., Kevin Harvick and Kasey Kahne. The primary sponsor for Bowman’s races will be announced at a later date. With the addition of Bowman, the No. 88 team’s driver roster now accounts for 19 of 33 races. Bowman’s nine-race schedule is as follows: Dover International Speedway (May 14), Pocono Raceway (June 4), Iowa Speedway (June 19), New Hampshire Motor Speedway (July 16), Watkins Glen International (Aug. 6), Mid-Ohio Sports Car Course (Aug. 13), Richmond International Raceway (Sept. 9), Dover International Speedway (Oct. 1) and his hometown track Phoenix International Raceway (Nov. 12). Bowman’s résumé includes more than 100 starts across NASCAR's top-three series. In 2014, he made two starts for JRM at Charlotte Motor Speedway and Phoenix International Raceway, earning respective finishes of 12th and 17th. 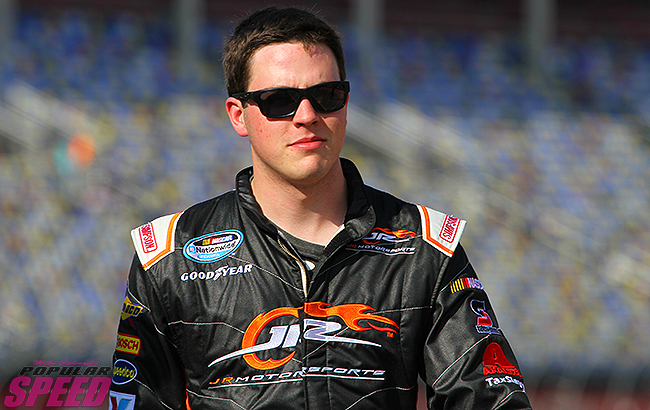 Earlier this season, Bowman made his NASCAR Camping World Truck Series debut in JRM’s No. 00 entry. Bowman joins a competitive team, as two of JR Motorsports’ five wins this season have been delivered by the No. 88 car, both with Harvick behind the wheel (Atlanta Motor Speedway on Feb. 28 and Auto Club Speedway on March 21). The No. 88 team has also earned eight top-five and 17 top-10 finishes in 31 races with Harvick, Earnhardt Jr., Kahne, Ben Rhodes and Josh Berry. Bowman becomes the third driver in the last five weeks added to JRM’s 2016 roster. JRM announced on Oct. 2 that Elliott Sadler will race for a championship with OneMain Financial as his primary sponsor and on Oct. 28 that Justin Allgaier will compete for the NXS title in the No. 7 with BRANDT as his primary. The No. 88 team drivers that will join Bowman, Earnhardt Jr., Harvick and Kahne will be announced at a later date. Atlanta Motor Speedway will install additional SAFER barrier to both its inside and outside retaining walls prior to the 2016 Folds of Honor QuikTrip 500 Weekend, scheduled for Feb. 26-28. Installation of an additional 4,742 linear feet of the barrier, set to begin in January, will add protection in areas on both the front and back stretches as well as to inside sections in all four turns not yet equipped. Once the project is complete, the entire outer wall and significant portions of interior areas will be fitted with the protective barrier. SAFER (Steel and Foam Energy Reduction) barrier, which is designed to absorb and reduce the impact of race cars during a crash, was designed by a team of engineers at the Midwest Roadside Safety Facility at the University of Nebraska-Lincoln and first installed at Indianapolis Motor Speedway in 2002. The barrier is made up of steel tubes mounted to concrete retaining walls, separated by polystyrene foam. The technology distributes the force of impact onto a greater area and in turn, lessens the force transferred to both the car and its occupant. SAFER barrier was first installed at AMS in 2004, covering approximately 8,000 linear feet and 75 percent of the outer walls, as well as sections inside Turn 2. The new additions add protective coverage based on the recommendations prescribed by NASCAR and safety officials. 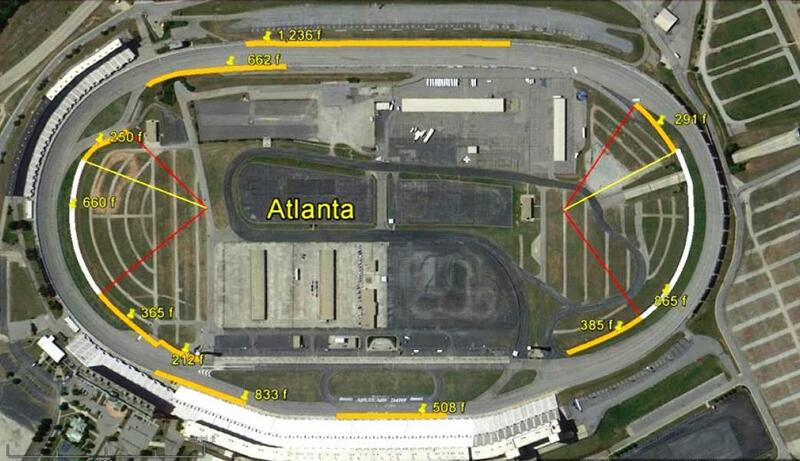 Erring on the side of safety, AMS supplemented its barrier system prior to its NASCAR events earlier this year by extending the protective wall at the exit of Pit Road as well as placing a temporary tire barrier along the inside wall in Turn 4. Both those areas will be equipped with SAFER barriers at the completion of new additions. The National Motorsports Appeals Panel has heard and considered the appeal of a P4 level penalty issued on Oct. 28 to Shane Huffman (crew chief), Brandon Jones (driver) and Maurice Gallagher Jr. (owner) relative to the No. 33 NASCAR Camping World Truck Series team at Talladega Superspeedway. The penalty concerns the following sections in the 2015 NASCAR Rule Book: Sections 20.4.12.2; 20.20.a; 20.4.f; P4, 12.5.3.4. b&d, Penalty Options; P4, 12.5.3.4.1 d&f, Penalty Examples. The original penalty assessed included: Huffman was fined $10,000, suspended for the next three NASCAR Camping World Truck Series Championship events, plus any non-championship races or special events which might occur during that period, and placed on NASCAR probation for a six-month period following the issuance of the penalty. Jones and Gallagher Jr. were also assessed with the loss of 25 championship driver and 25 championship owner points, respectively. Upon hearing the testimony, the panel ruled that the Appellants violated the Rule or Rules set forth in the Penalty Notice, and that the suspension portion of the Penalty for the crew chief should not last beyond the current season in this special case, because of a delay in the originally scheduled hearing necessitation by Matt Kenseth’s expedited appeal from a week ago. All other portions of the original Penalty as levied by NASCAR (e.g. ; owner points; driver points; fine; probation) were affirmed and upheld. The panel consisted of Owner of Greenville-Pickens (SC) Speedway Kevin Whitaker, former SPEED Channel president Hunter Nickell and David Hall, former president of Gaylord Communications Group. The Appellants have the right to appeal the decision of the National Motorsports Appeals Panel to the National Motorsports Final Appeals Officer in accordance with Section 15 of the NASCAR Rule Book. Texas Motor Speedway President Eddie Gossage truly ponied up Friday when it came to farewell gifts for retiring four-time NASCAR Cup Series champion Jeff Gordon, who makes his final start at Texas Motor Speedway in Sunday's AAA Texas 500. Gossage, ever the promoter, presented Gordon with perhaps the most unique gifts the NASCAR icon has received throughout the season with the personal delivery of a pair of Shetland ponies to the speedway media center for his children, eight-year-old Ella and five-year-old Leo, to help their dad ride off into the sunset. Gossage, sporting a cowboy hat and bandana, stepped out of the building during his presentation of gifts with Gordon and stunned him by leading a pair of Shetland ponies into the media center for his final gift. Gossage presented him with "Scout," a 300-pound black-and-white paint pony, and "Smoky," a 400-pound dapple-colored one. "Are you out of your mind? Are you out of your mind?," Gordon said. "Oh, my God, Eddie ... you have no idea what you just did to me." "Yes I do," Gossage said. "You have lost it. ... Oh, my God," Gordon said. "Eddie you are unbelievable. You are unbelievable. Oh my God. ... These are going to look good in my backyard in Charlotte." Gossage also made sure that he provided Gordon with a few personal gifts for himself. Gordon received custom-made Luskey's black cowboy boots that featured his No. 24 and signature as well as Texas Motor Speedway logo on each, a mini Gordon Rd. street sign that is a replica of the one on property honoring him and a commissioned mural artwork piece depicting his 2009 win at Texas by renowned sports artist David Arrigo. "With all due respect to drivers like Richard Petty and Dale Earnhardt, Jeff is perhaps the most important driver in NACAR history," Gossage said. "He was the most transformative driver our sport has seen. He won races and championships while changing the perception of people around the globe about NASCAR race car drivers. He successfully guest hosted shows like 'Saturday Night Live' and 'Live with Regis and Kelly,' introducing a whole new audience to racing. It's no coincidence our sport enjoyed unprecedented growth during his prime years. Jeff is a champion in every way." The artwork was part of a five-canvas "Live Mural Experience" in which Arrigo has been touring the DFW Metroplex and painting among the public day and evening since Monday. He was set up in the media center and had Gordon assist him in painting portions of each canvas during the press conference. 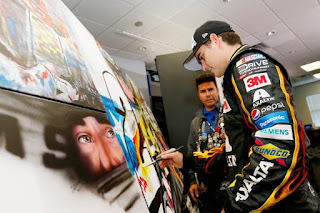 Arrigo will finish painting the mural Sunday, situated on the ballfield grass in front of the starting grid during AAA Texas 500 pre-race activities. The other four paintings from the mural will be donated to Speedway Children's Charities-Texas Chapter to be auctioned off at a later date. Gordon's final start at Texas Motor Speedway comes in Sunday's AAA Texas 500, which begins at 1 p.m. CT. Tickets are available by visiting www.texasmotorspeedway.com or by calling the speedway ticket office at (817) 215-8500. Homestead Ford 400 Is SOLD OUT! 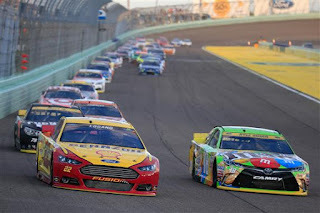 With three races still remaining in the 2015 NASCAR Sprint Cup Series season, Homestead-Miami Speedway President Matthew Becherer announced today that the Ford EcoBoost 400 on Sunday, November 22, is sold out for the second consecutive year. The championship race will air live from Homestead-Miami Speedway at 3 p.m. ET on NBC and SiriusXM NASCAR Radio. In addition to reserved and general admission seating, all premium seating areas including the Champions Club, Speedway Club, Pit Box, suites and Pit Road Cabanas have been sold out since September. All that remains is a limited number of RV Camping available in the GEICO RV Park. “There will be many storylines heading into the Championship Round at Homestead-Miami Speedway, one of which will be Jeff Gordon vying for a fifth championship title in his final Sprint Cup Series season,” said Becherer. “We saw last year that the new Chase format gives our fans the opportunity to truly witness history during the Ford EcoBoost 400, and we fully anticipate that again with this year’s race. Our guests who will be out here at the track will not only be treated to a terrific weekend of racing, but also an unforgettable overall experience with all of the entertainment and amenities that we have planned. With two races left in the Eliminator Round, only Jeff Gordon has locked in his spot as one of the Championship 4 eligible to compete for the Sprint Cup Series title. 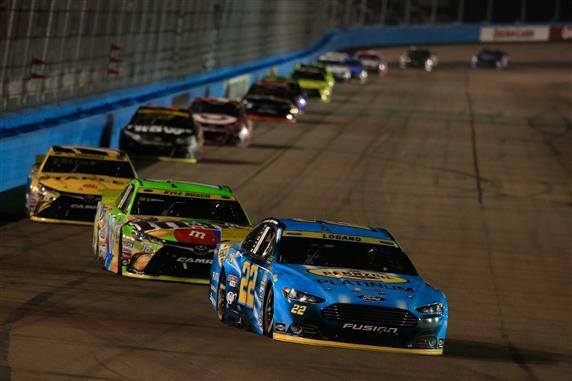 Another driver could do the same after this weekend in Texas, and all four spots will be solidified after the Sprint Cup Series race at Phoenix International Raceway on November 15. Although the Ford EcoBoost 400 is now sold out, fans of some of the most popular drivers on the Sprint Cup Series circuit will have a chance to see those same drivers a day earlier in the XFINITY Series race. The Camping World Truck Series championship title could come down to the final race of the season at Homestead-Miami Speedway, as only 13 points separate the top three drivers in Erik Jones, Matt Crafton and Tyler Reddick. The Ford EcoBoost 200 will air live from Homestead-Miami Speedway on Friday, November 20 at 8 p.m. ET on FOX Sports 1 and SiriusXM NASCAR Radio. The XFINITY Series championship could also come down to the final race at Homestead-Miami Speedway, as defending champion Chase Elliott is second in points to Chris Buescher, who is looking for his first championship title. Only 36 points separate first through fourth place in the XFINITY Series, with drivers Chris Buescher, Chase Elliott (27 points behind Buescher), Regan Smith (33 points behind Buescher) and Ty Dillon (36 points behind Buescher) will battle for the title. The Ford EcoBoost 300 will air live from Homestead-Miami Speedway at 2:45 p.m. ET on NBC and SiriusXM NASCAR Radio. 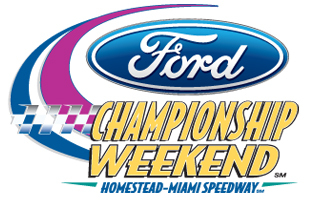 Tickets for the Ford EcoBoost 200 and Ford EcoBoost 300 can be purchased by calling (305) 230-5255, or online at www.HomesteadMiamiSpeedway.com.